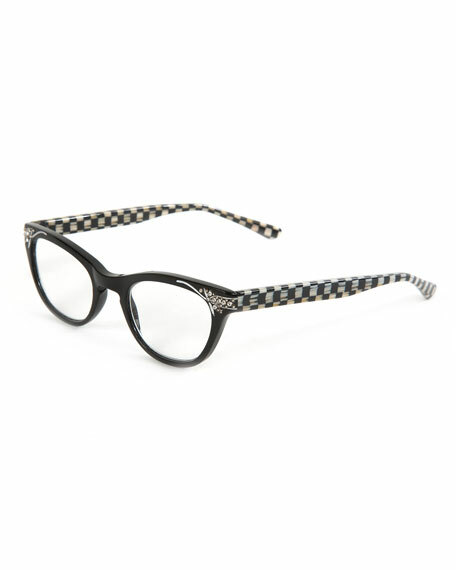 Plastic reading glasses with MacKenzie-Childs signature check detailing. 5.25 in. wide, 1.5 in. tall, 5.5 in. deep.